We are Brighton & Hove's cheapest boiler installation company. The special offers below include everything required to meet Energy Efficiency standards and in turn keep utility bills to a minimum. We've been fitting boilers since 1990 & have a wealth of knowledge when it comes to gas boiler installations. The deals are possible because of our relationship with retailers & our ability to keep overheads to a minimum. We are confident our deals are unbeatable but if you do manage to get a better price then we will beat any written quotation. That's a guarantee! See our Special offers page for prices & current deals on offer. All offers are subject to a site survey. 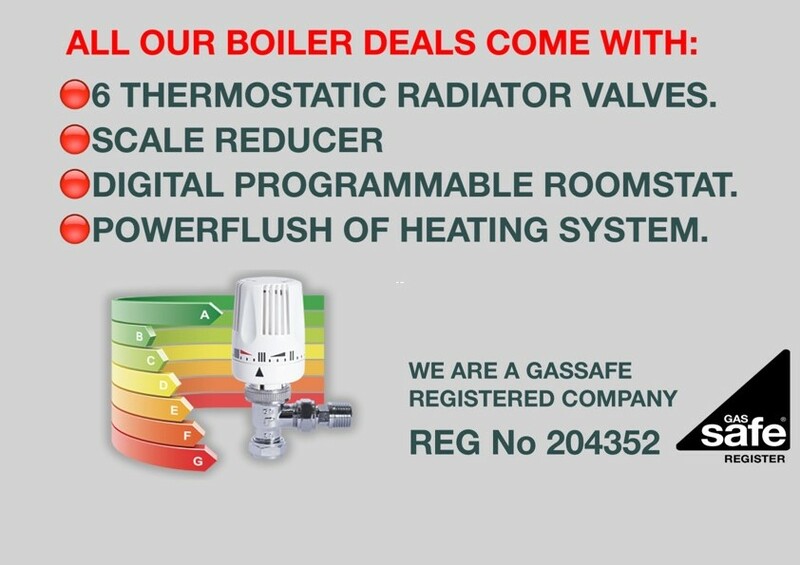 The deals are for a straight combination boiler swap with no position change or upgrade of gas pipework.